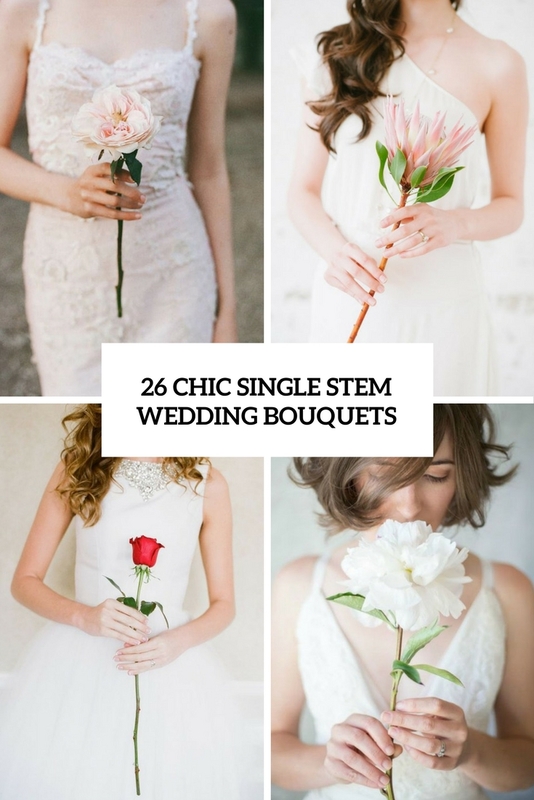 Whether you love minimalism, or have a tight wedding budget or just want to stand out on your big day, a single stem wedding bouquet is a nice idea. 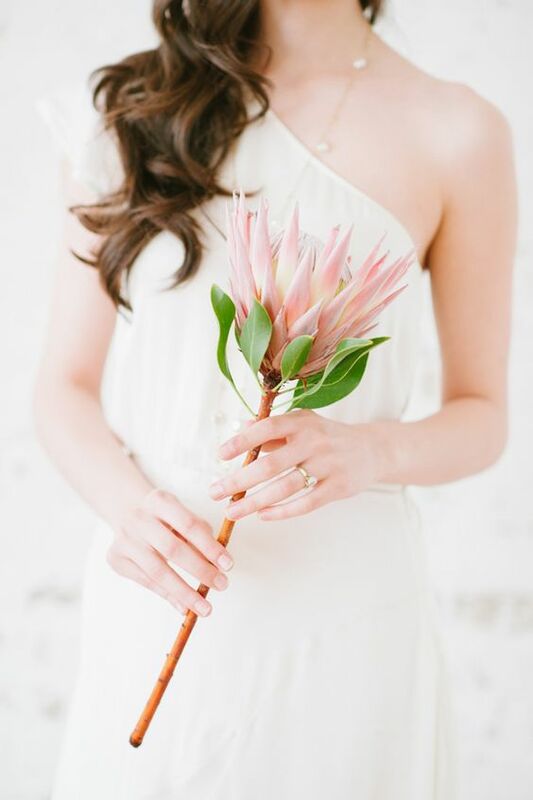 A single stem wedding bouquet can fit any bridal look, from a rustic to a minimalist because you may find a proper bloom for any wedding theme and style. 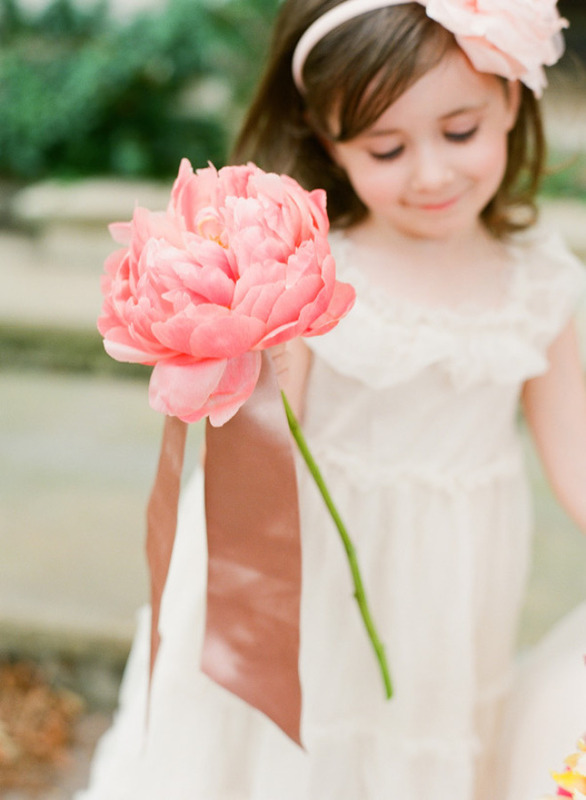 You may also choose to have single stem bouquets for bridesmaids and flower girls, it will be a great budget save. 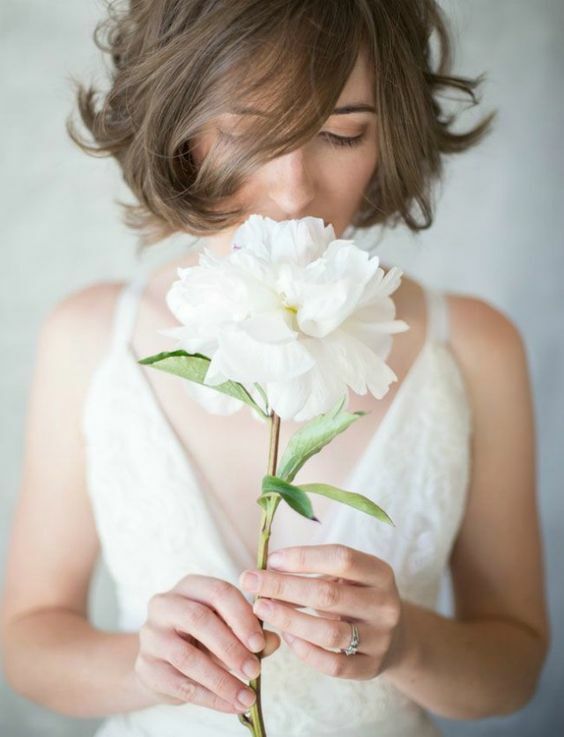 Choosing a bloom think over several points. 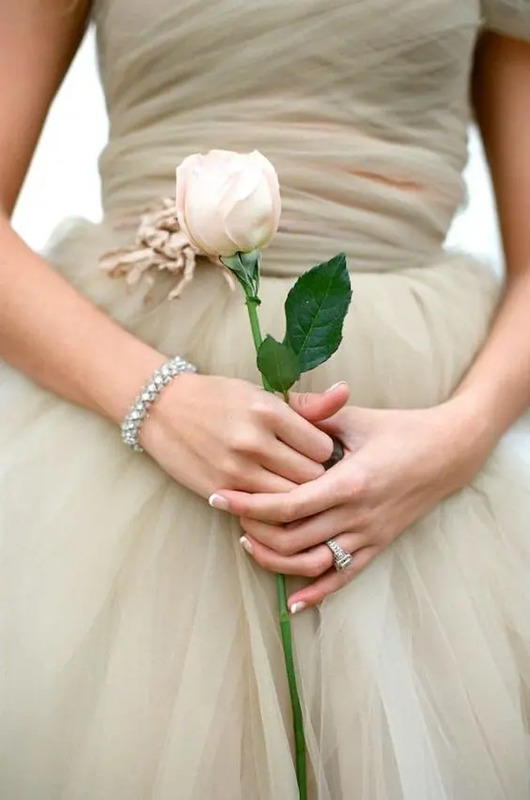 First of all, try to choose a bloom that is large enough so that it could be clearly seen: a flower that is large enough will easily substitute a whole bouquet. 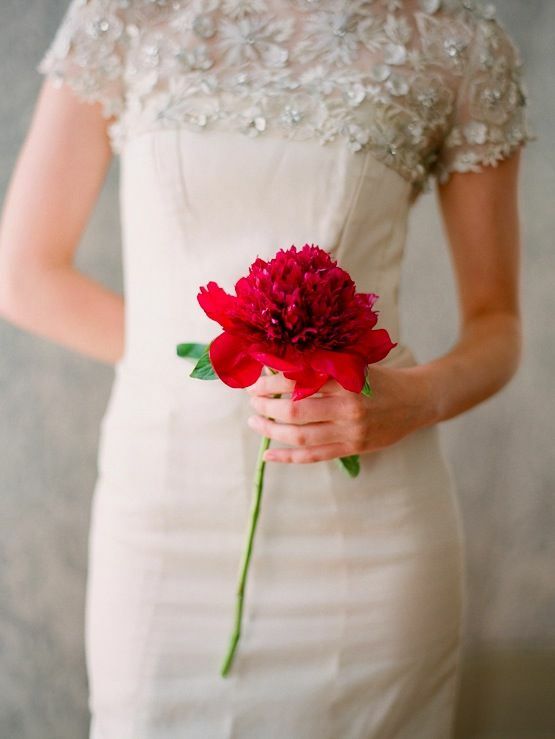 Second, think what look you want to get: will it be a contrasting or a matching one? 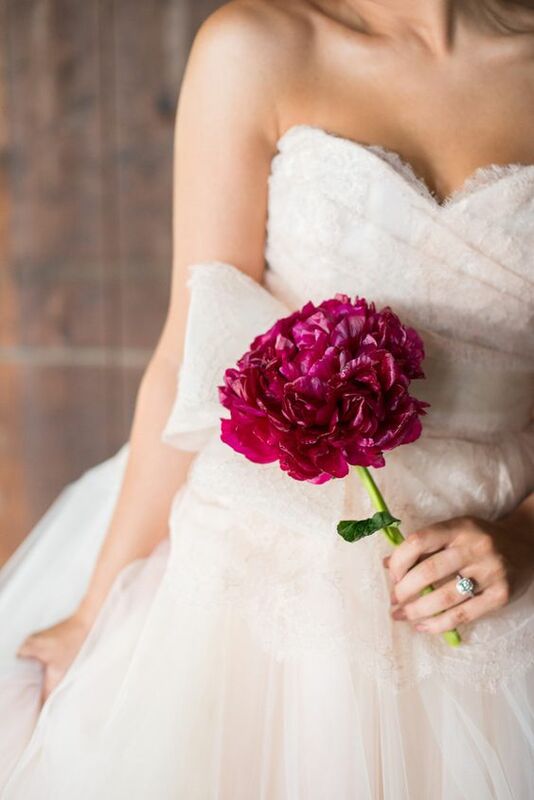 if you want a contrasting look and you are wearing an off-white wedding dress or a gown of any neutral shade, choose a bold bloom that also matches your color scheme if possible. 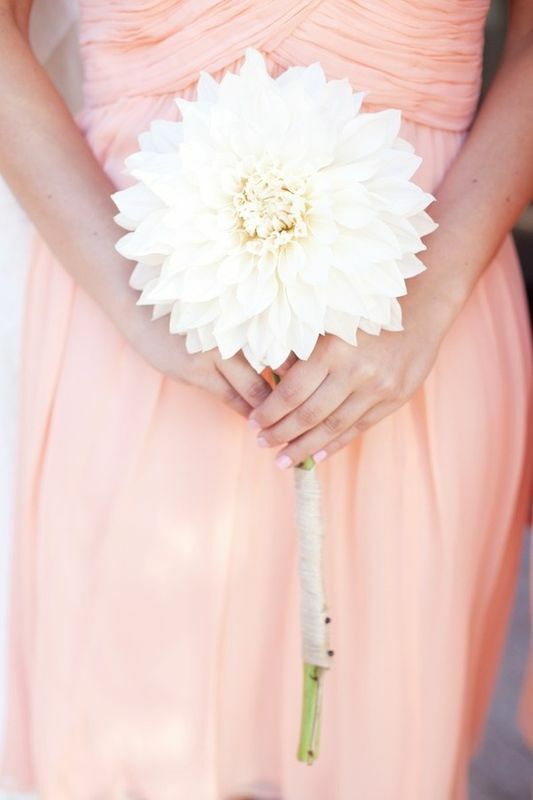 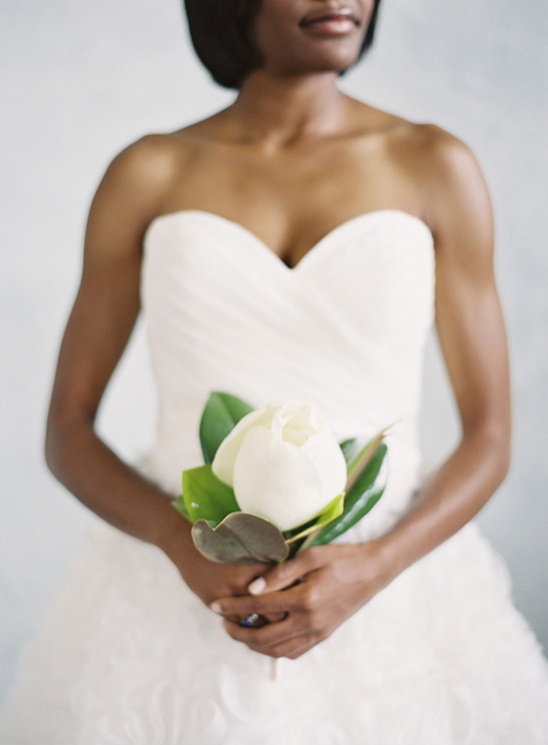 If you are wearing a bold colored dress, try a white or blush bloom. 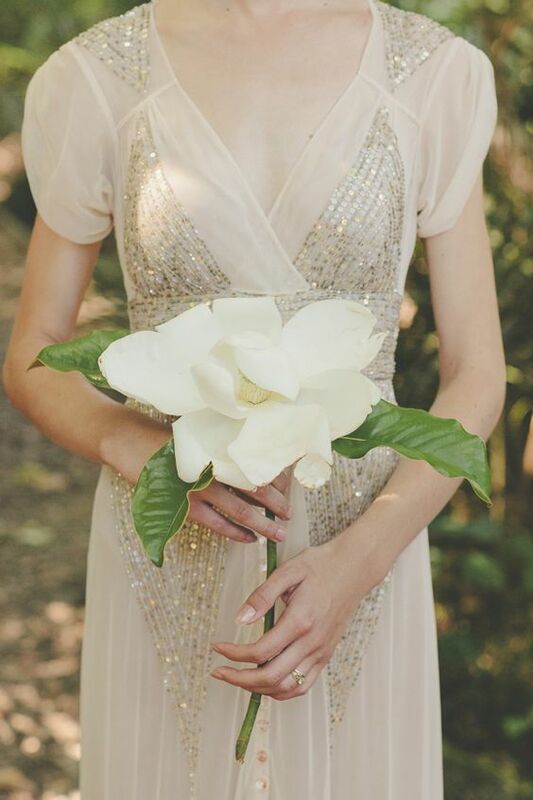 Matching looks are also welcome! 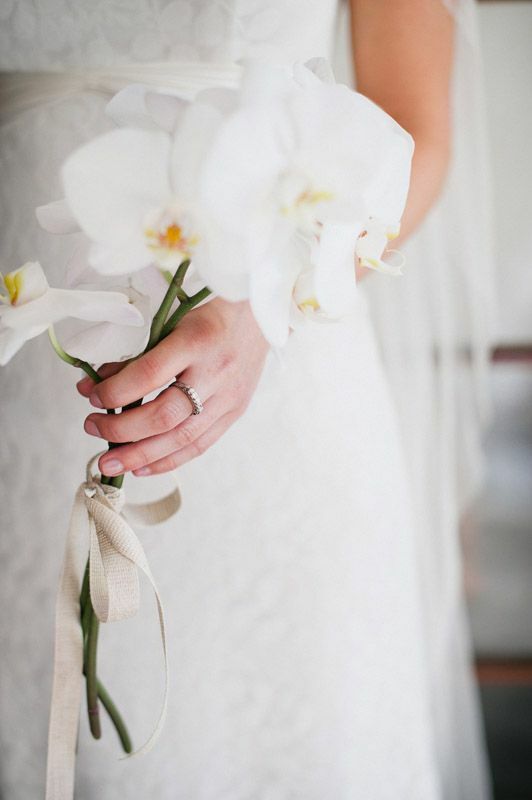 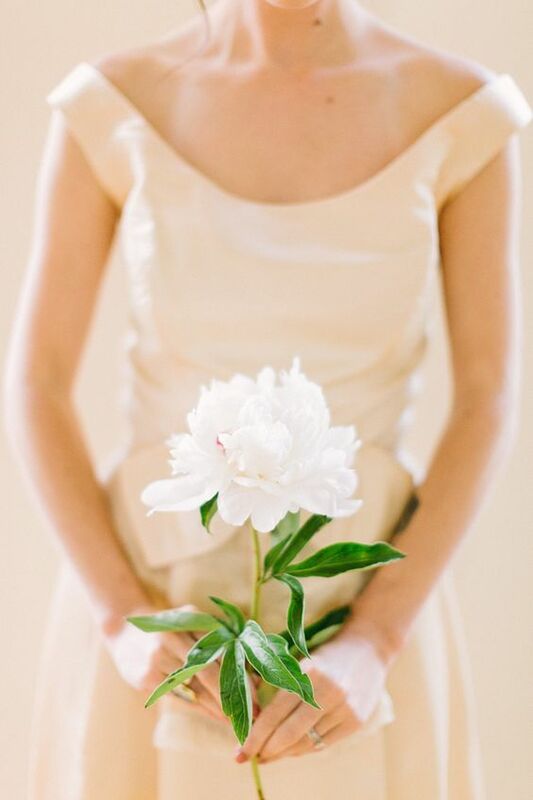 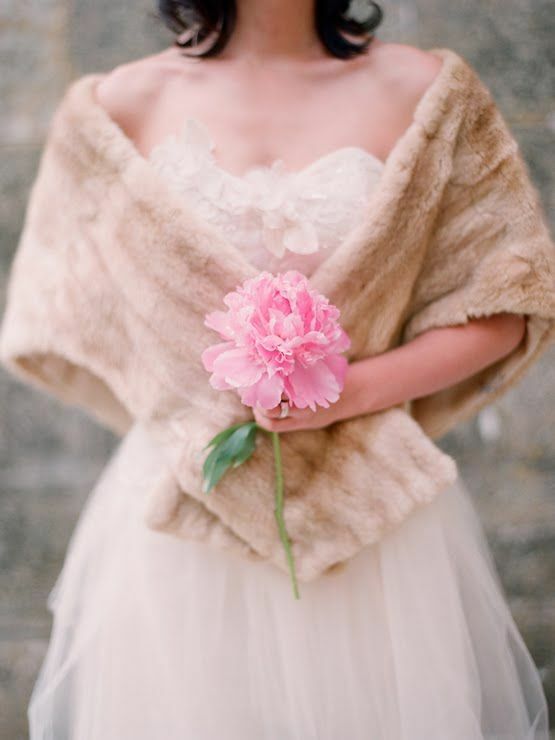 A single white peony or rose is timeless classics and looks nice with any wedding gown. 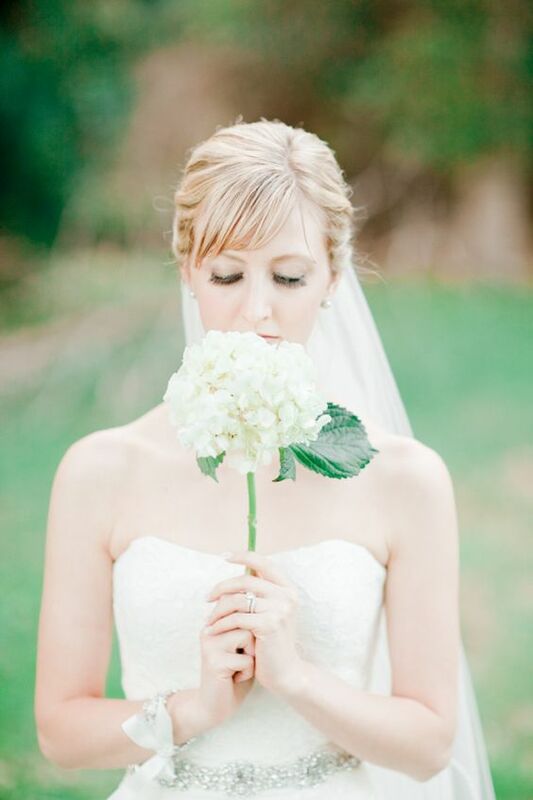 Let’s have a look at some nice examples. 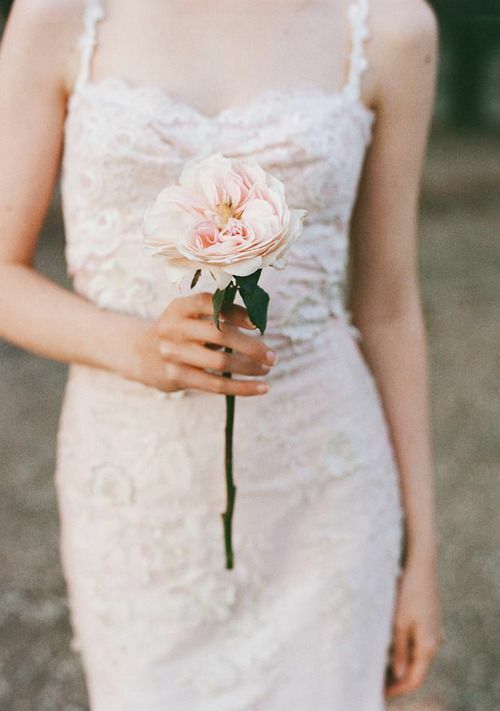 Roses are timeless, you can never go wrong with them! 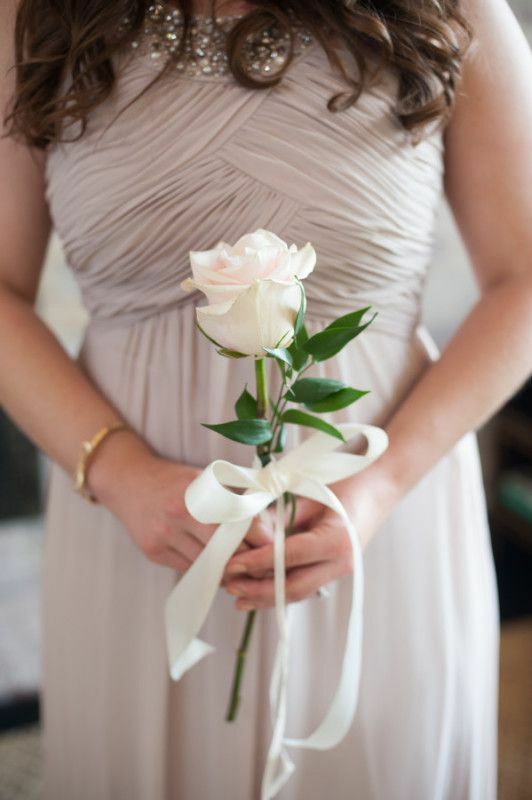 A closed white rose is classics, add a ribbon bow and voila – a cool single stem bouquet is done! 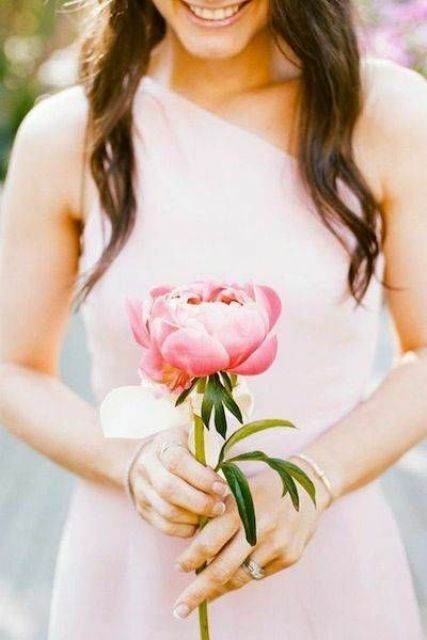 Pink and blush roses are also welcome to give you a softer and more girlish look. 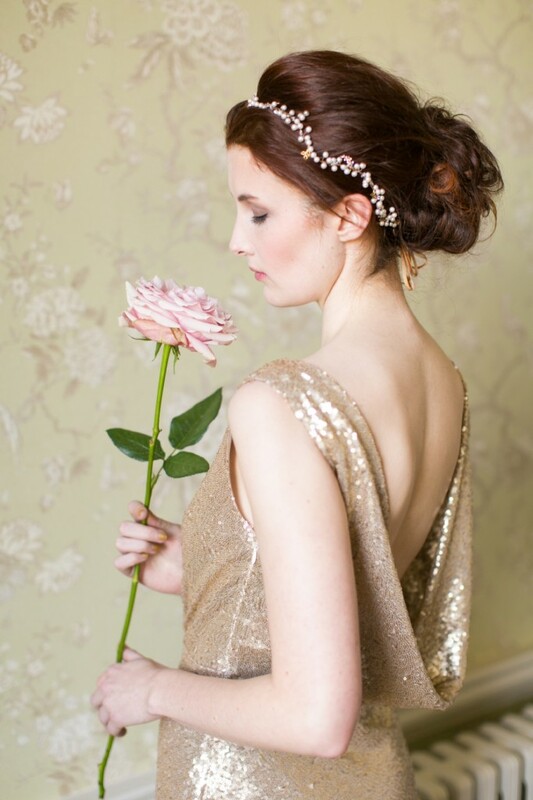 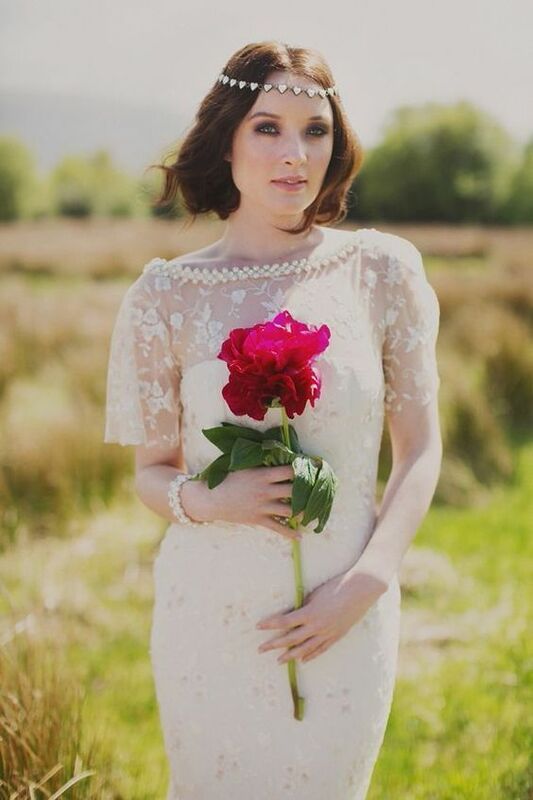 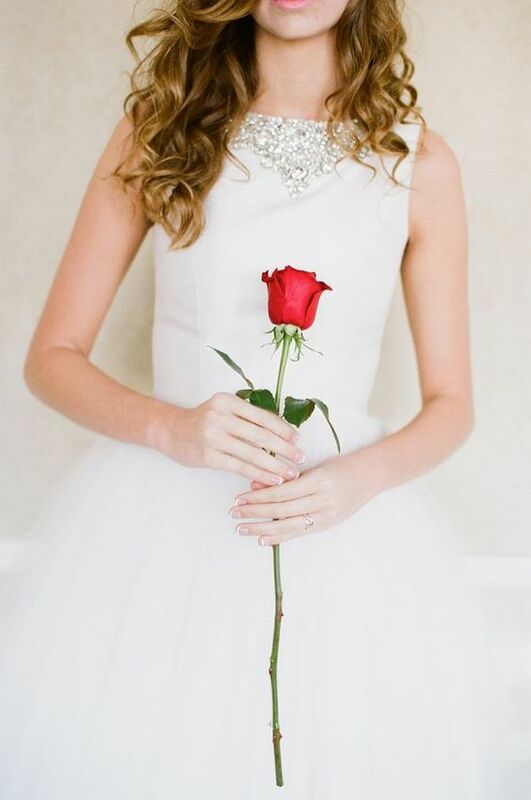 If you want to make a statement, grab a single red rose, it will stand out from your neutral-colored wedding dress. 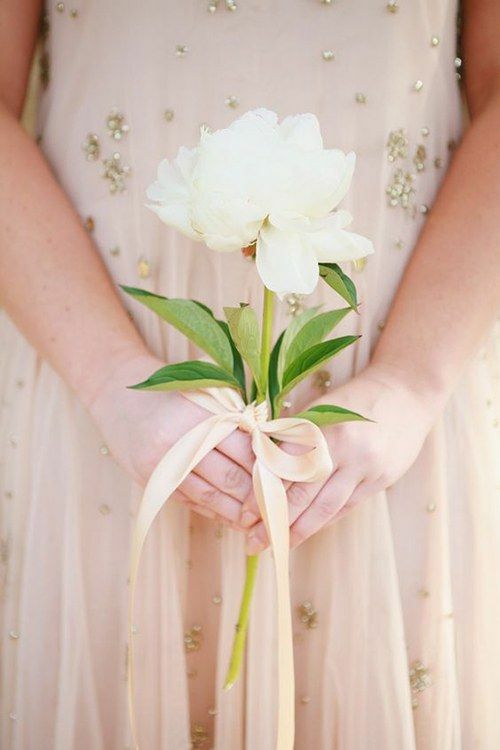 Peonies are the most popular flowers for rocking single stem bouquets because besides being large enough they provide a gorgeous smell! 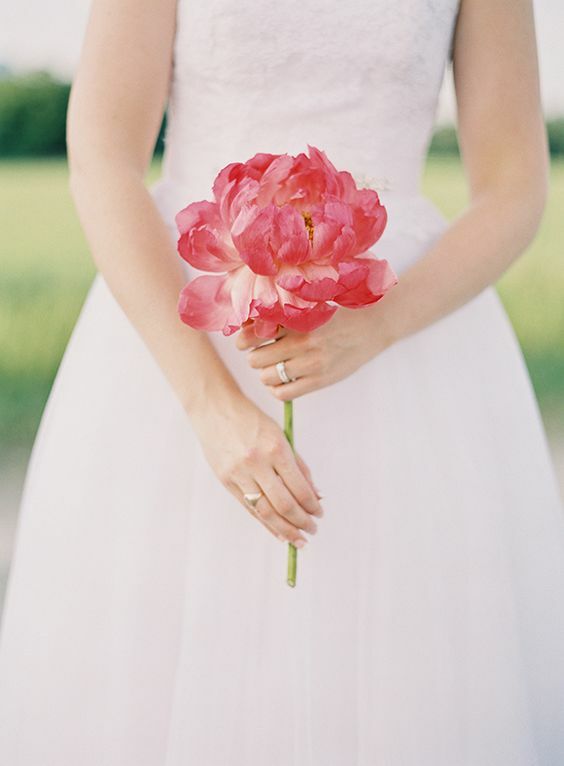 You may go for white, pink or fuchsia-colored peonies, it depends on the look you want to get. 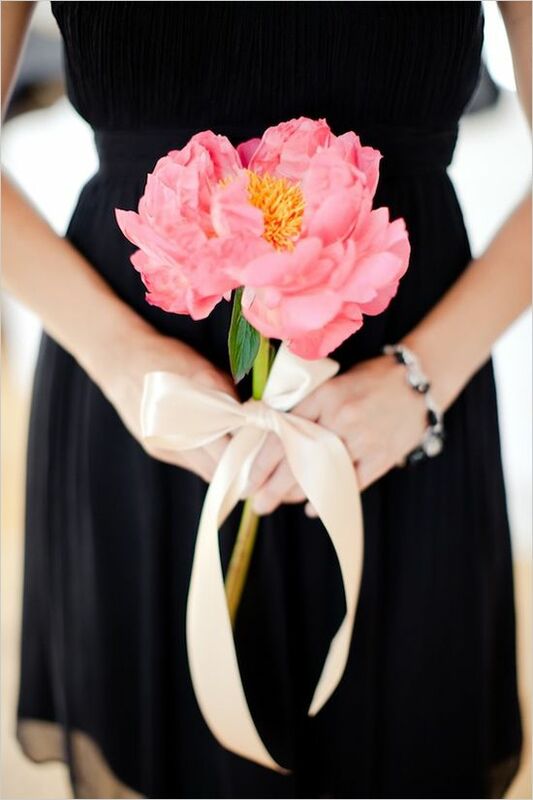 Adding ribbon bows may be a good idea if your peony is extra large. 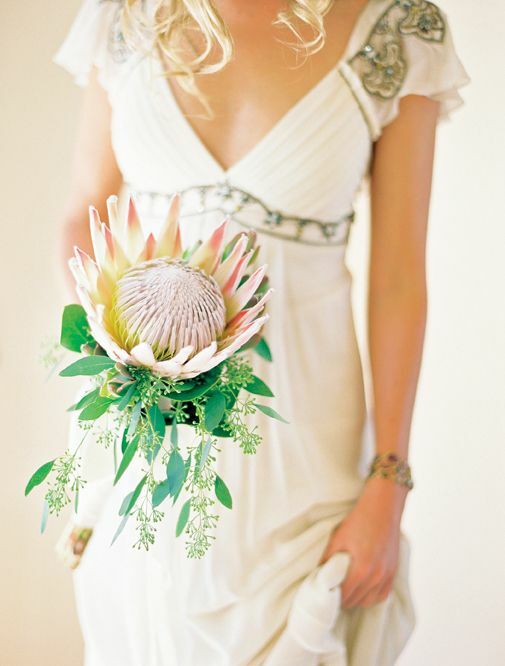 Other flowers that look cool in single stem bouquets are callas, orchids, dahlias, proteas and magnolias – any bloom that is large enough will do! 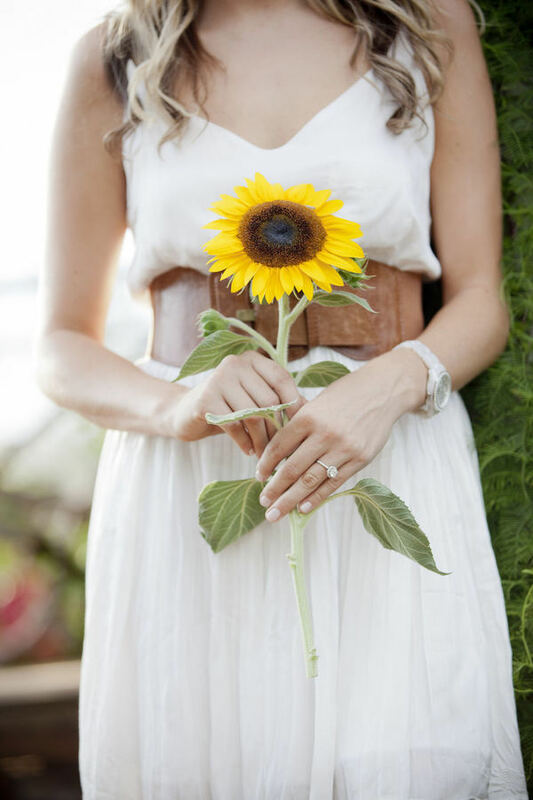 Don’t forget sunflowers and hydrangeas for a rustic wedding – they look cute and chic. 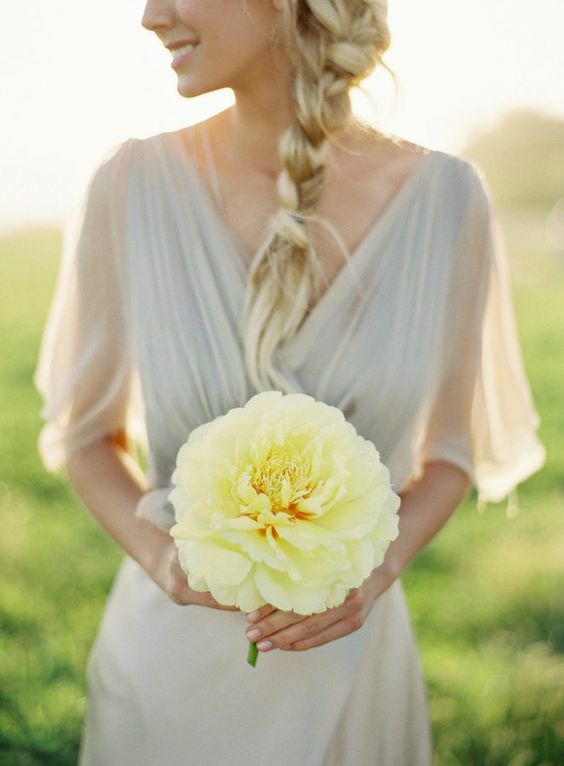 Get inspired by the ideas below and rock single stem bouquets with a gorgeous look!